Don Jung’s stories of rock n’ roll are on paper instead of inside his head thanks in part to molten lava. Last summer, the Manhattan Beach resident was on the Big Island of Hawaii to help his daughter, whose home lay north of the Kilauea volcano that began erupting in May 2018. They were packing up her things, while, twenty miles away, lava cut forking paths through housing tracts and banyan trees, headed toward the Pacific Ocean. The slow-moving disaster had cut off the area from the outside world, and there was plenty of down time for some father-daughter catching-up. “There was no power, no cell service. What are you going to do for three days? So I started telling her these old stories about The Doors. She says, Dad you’ve got to write about this, nobody remembers these things anymore,” Jung said. Jung arrived at UCLA as a junior transfer in the summer of 1966. He had grown up in Bakersfield, which in the early 1960s was even more dominated by farming and oil extraction than it is today; UCLA, with its sprawling campus and cosmopolitan atmosphere, was a shock. His timing was perfect. Los Angeles was about to become the epicenter of several strains of rock n’ roll. Laurel Canyon became synonymous with the latest generation of singer-songwriters. 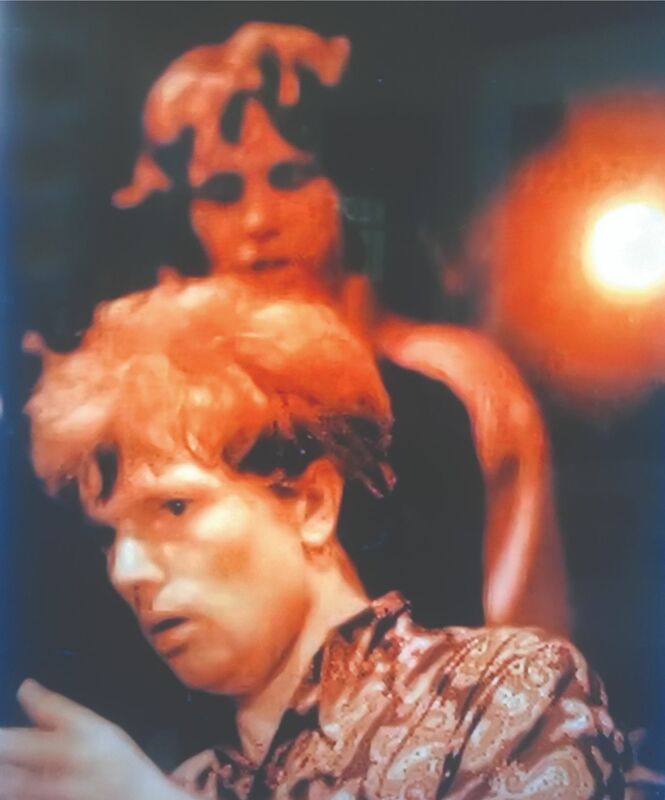 And the Sunset Strip was home to upbeat clubs like the Whisky-A-Go-Go, where one of Jung’s roommates had a job doing lighting, and whose house band for the summer of 1966 was the then-unknown Doors. Returning to the mainland after the volcano incident, Jung mulled his daughter’s suggestion. He and his wife run a website called Underrated Reads, and they receive 30 to 40 submissions from unknown authors every month. He became convinced that he could write the book. Jung examined the literature on the late ‘60s, and said he was unable to find something that adequately captured both the music and the history of the period from Kent State to Ken Kesey. At first, this seems hard to believe. As the 50th anniversary of Woodstock approaches, does the world really need another book about rock n’ roll and the tumultuous 1960s? Doesn’t, say, the intro to the later seasons of “The Wonder Years,” with Joe Cocker wailing over still images of the moon landing and the raised fists of John Carlos and Tommie Smith, do a pretty good job? What makes Jung’s memoir worth reading is its humble, ground-level approach. Jung is approachable, and at its best his confessional narration has the and-then-what-happens feel of a well-planned podcast. He is in “the scene” enough to have great stories, like an impromptu 3 a.m. Grateful Dead concert on a high school football field, but his stories are not so glamorous as to feel irrelevant to the rest of us in the nosebleeds. Jung’s book tackles perhaps the most documented slice of popular culture in American history, and reminds us how often it is treated with cliche. Jung, a Manhattan Beach resident, with the cover image of his recently released rock n’ roll memoir. Jung retired two years ago after spending decades as a CPA. These days, he plays tennis four days a week, and is a loyal member of the Rotary Club of Manhattan Beach, to whom he recently gave a speech about his book. It’s not exactly the most rock n’ roll resume. Jung plays the guitar, and over the years he has written songs and put out some of his own records, none of which, he freely admits, had much success. (Jung will be accompanied by musician friends at OB’s and at Suzy’s.) Instead, Jung mostly worked odd jobs with bands over the period the book documents. He briefly manages bands, and even books one at the Flying Jib, a former night club in Redondo Beach that stood where Dive N’ Surf is today. Many of these acts, such as Ol’ Blue or Mount Rushmore, will be unknown to less dedicated fans, and one of the book’s joys is in seeing just how much rock n’ roll has been forgotten. Covering a Jefferson Airplane show for the Los Angeles Free Press, he related how the band had failed to secure proper permits for a venue, and police officers were trying to get them to stop people from dancing. Grace Slick, Jung said, did not oblige. Jung attends hundreds of concerts in the course of the book, and only gets into some of them for free. Live music was a much more affordable hobby at the time, Jung said, and he thinks it is unlikely that someone would be able to repeat his whirlwind experience in music today. The industry, he said, has changed. Replacing record sales with streaming has made music more available than ever, but it has had the hidden consequence of putting the live experience further out of reach. “It used to be that you could make a ton of money with a hit single or an album. Now, all the money comes from live concerts. And that’s the reason everybody charges $200 or $300 a ticket,” said Jung, whose son works for an L.A. record label. The world Jung describes is filled with drugs, and Jung is the counterexample to the old saw about “remembering the ‘60s.” And while he is no Puritan, he did not imbibe or inhale as much as others, and as a result has a clearer recollection of what happened. “The thing that ruined a lot of groups was cocaine. I only did it once. I had bad allergies, and so I sneezed for 20 minutes straight. The doctor said, If you start snorting anything, you’re going to need nasal surgery every three months,” Jung said. Friends of his experimented with drugs, and some did more than experiment. But the force that casts the darkest shadow over the book is the Vietnam War. It is on Jung’s mind when he is going to college, and avoiding the draft is the reason he wants to stay. In one of the book’s best scenes, he learns that he has been classified as “1-Y,” which means he is to be summoned only in case of a national emergency. Fittingly, he has music to thank for avoiding the fighting. “I was very lucky that I got out of the draft. I went to enough concerts that I had ringing in my ears. If I heard an exploding bomb, I’d have permanent hearing loss,” Jung said. 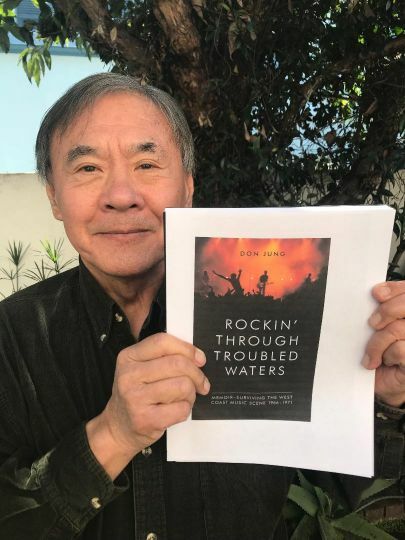 Don Jung’s “Rockin’ Through Troubled Waters” came out on Amazon.com on April 8. Jung will be at OB’s on Highland Avenue in Manhattan Beach for book signing on Thursday from 4 p.m. to 6:30 p.m., and at Suzy’s on Aviation in Hermosa Beach on Sunday from 4 p.m. to 6 p.m.